Compost is what is left over when organic matter decomposes. 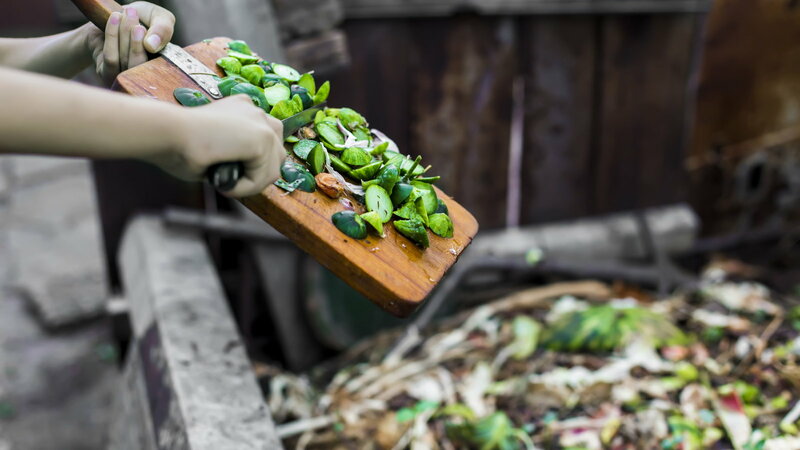 Organic matter can be things like vegetable scraps, leaves, mowed grass, and any other garden waste. This material will decompose without any assistance at all, though you can help it along and enjoy the benefits of compost faster if you wish. Because it doesn't contain a high level of essential nutrients, compost is not considered an actual fertilizer. Instead, it is treated as a soil conditioner or amendment. Compost does supply many good things to the soil. It attracts beneficial creatures like earthworms, and it improves the soil composition. Cold composting is basically just making a pile and letting it sit in the bin. This takes longer than hot composting. Hot composting is when you take a shovel and turn your pile every few days to supply more oxygen to the microorganisms in your compost pile. First, decide where you will put your compost pile. Check for city ordinances that may regulate where you can put a compost pile, or if you can even have one. A compost pile can get messy, so put it somewhere that you can reach with a hose so you can do a clean up if necessary. Bugs will be attracted to your compost pile, so keep this in mind. If you have a free corner in your garden that is far enough away from the house and the neighbors, it could be the perfect spot for that new compost pile. There are many composting products for sale today. They even have gadgets that will rotate your compost for you, but really, the only thing you need is a compost container. Some people simply fence off the compost pile, while others use a bin or container of some kind to put their organic matter in. 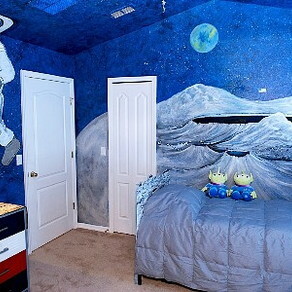 This can be recycled, homemade, or purchased at a store. While there are many composting bins to choose from in all sorts of shapes and sizes, the easiest ones are simple. Don't spend more than you need. A good way to begin a compost pile is with layers. Start with fallen leaves or grass clippings, and then put some soil on it, then put in some kitchen waste. Eggshells, scraps of fruits and vegetables, and coffee grounds all make good additions to a compost pile. Do not ever add meat or pet waste to your compost. Once you have more layers, add another layer of soil and manure. Keep your compost pile moist, but not wet. Add a little water if it seems to be getting dry. You may want to consider adding a little beer to your pile. The yeast in the beer will keep the bacteria in your compost pile and make sure they'll be happy. It doesn't really matter if you add beer or water, just keep it moist. A compost pile doesn't need a lot of maintenance. Just continue adding your garden trimmings and kitchen waste to the pile. Occasionally mix in a little soil and manure to encourage decomposition. Keep the pile moist and if you remember, turn the pile about once a week to improve air circulation and aid the decomposition process. 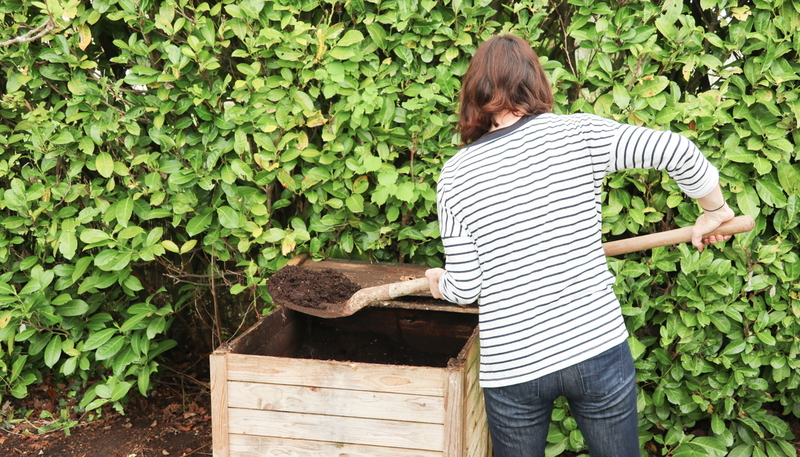 The compost is ready to put in your garden when it looks like dark soil and smells like earth. Just add to your garden and mix it in. If you want to add compost to your indoor plants, you need to sterilize it first. Layer it on some foil on top of an old baking sheet and put it in a 200 degree F oven for about half an hour. There isn't one best way to make compost. No matter what you do, organic matter will decompose. 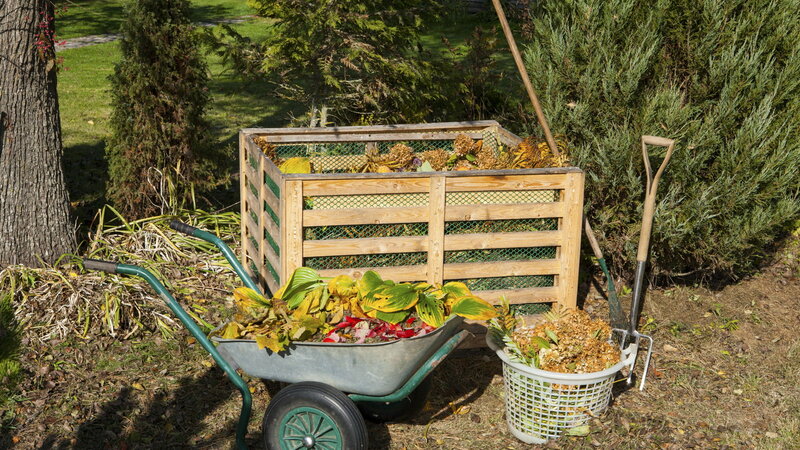 Find the style that works best for you and your garden and get composting! Check out The Joy of Rose Gardening now, to find great articles, advice, tips and much more on rose gardening topics.